The lead singer of Super Furry Animals has proven to be a creative man. 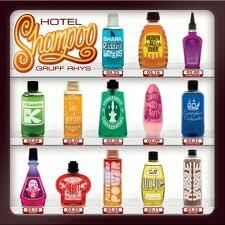 Gruff Rhys' band is known for a variety in sound and experiments that sometimes can be a bit hard to get into. This however resulted in beautiful music and some less fortunate results. On this solo album he stays on the safe side. His voice is pleasant to listen to like we're used to and the poppy songs are nicely produced. It's not ground breaking stuff but who said that should be the goal. Especially fans of his other work (like me) will enjoy this album a lot.